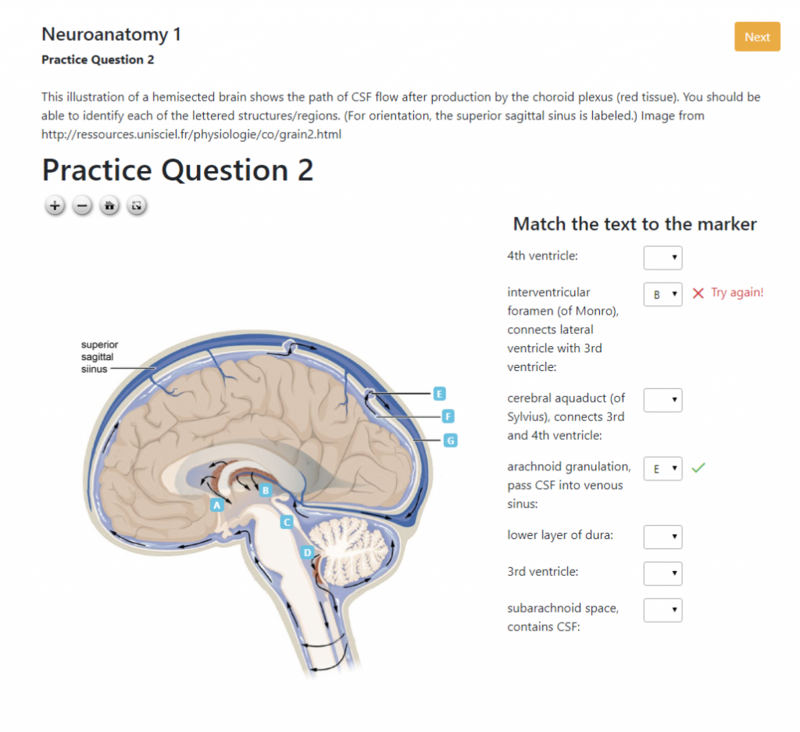 Navigator self-assessments now have the ability to contain matching questions. Using the same technology that we use for our Virtual Slides, course directors can annotate diagrams or regular images. These annotations can be turned into a matching practice exercise for students. Students choose which letter they think corresponds with a word or phrase and are provided with feedback. For more information about using this new feature, please contact us at labedu@pitt.edu.